Tyler Gulden has returned to his studio full-time and Red Lodge Clay Center is thrilled to present his most recent work as our first Featured Artist of 2014. He is a ceramic artist, art educator and administrator. He studied ceramics at Alfred University and University of Massachusetts Dartmouth and has been a resident artist at notable craft centers like Peters Valley Craft Center, Haystack Mtn School of Crafts and Watershed. A ceramic artist, arts educator and arts advocate, he has conducted workshops throughout Maine for children and adults, in addition to professional development workshops for teachers and artists, through the Watershed Mudmobile program. Other teaching includes workshops and lectures at Bowdoin College, Tabor Academy, Maine College of Art, Portland Pottery, and a position as Lecturer in Visual Arts and Culture at Bates College. Tyler worked for 12 years in arts administration at Watershed Center for the Ceramic Arts in Newcastle, Maine ending his tenure as Executive Director in October 2012. 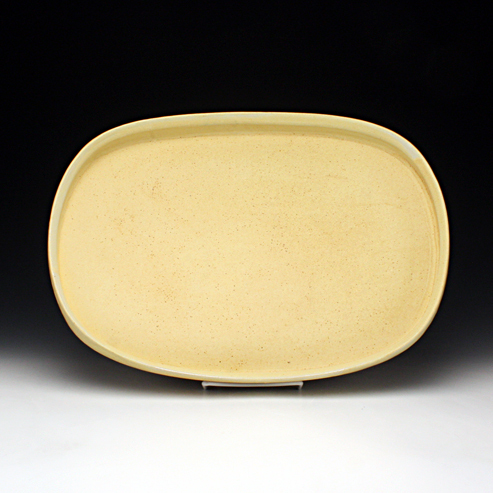 Tyler’s functional ceramics are exhibited internationally in group and juried exhibitions. His current work follows the tradition of salt firing, in combination with the more contemporary process of soda firing, capitalizing on the unique color and surface variations that are a natural product of the process.